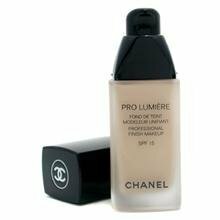 Chanel is always being raved about when it comes to foundation. The stars love them, Lady Victoria Hervey couldn’t live without it, and it’s constantly being recommended by OK’s beauty editors. If your looking for a liquid foundation that gives you a flawless complexion in any light then PRO LUMIÈRE is the product you’re searching for. Soft to the touch and perfectly adjustable when applied, the PRO LUMIÈRE formula is highly concentrated in with high-tech radiance-emitting active ingredients. Rich in reflecting pigments and emollient elements that leave the complexion looking flawless, it also recreates the “smoothing” performance effect of artificial light. Blended in completely, it offers a semi-matte and luminous translucent result. Less blended, it provides a smoothing effect with perfectly even skin and tighter pores. You can purchase it from Amazon for $52, and check out Chanel’s website for videos showing you how to apply their foundations.